If you’ve been paying attention, you’ll know August 21st brings a rare celestial sighting: The first total solar eclipse in 99 years. Cool, right? Before you get too excited though, remember you’ll need to protect your eyes if you want to see it. Few understand this better than Lou Tomososki, a man who suffered eye damage after staring at a solar eclipse and is now warning others against looking up. Back in 1962 (before many of us were even born) Lou and his buddy were walking home from school when they decided to check out the partial solar eclipse happening overhead. The pair of friends only looked up for a few moments, but that was enough to cause irreversible damage to Tomososki’s eyes. It was later discovered that he had burned the retina in his right eye during the eclipse, giving him a partial blind spot in its center and flashes in his vision. And 55 years later, his vision has yet to improve. Now 70 years old, Tomososki is sharing his story as a warning to those who are thinking of catching the full solar eclipse with their naked eyes. "It’s going to be over real quick and it’s not worth taking a chance," he said to local news channel KGW. "Millions of people out there are going to be looking out at it…how many of them are going to say, 'Something happened to my eyes?' That makes me sick." He went on to say that he wished he knew more about the risks of looking at the sun during an eclipse that day, and he hopes that others will heed his warning to wear eye protection during the upcoming event. There are ways to watch the eclipse safely. Tomososki says that he’s still going to enjoy this upcoming eclipse, but he’ll stand and watch it get dark rather than looking up. 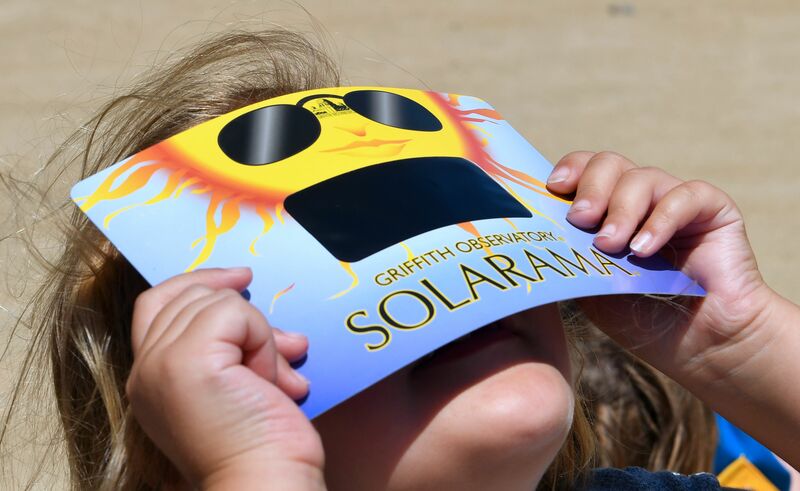 As for you, you can pick up some protective eyewear or go old-school and make your own eclipse viewer out of a pizza or cereal box. Also, please remember your beloved pets: Just to be safe, make sure you keep them inside during the eclipse. We’re so sad Mr. Tomososki now has to deal with impaired vision, but we are happy he’s sharing his story in hopes of keeping others save. Be careful out there, kids.